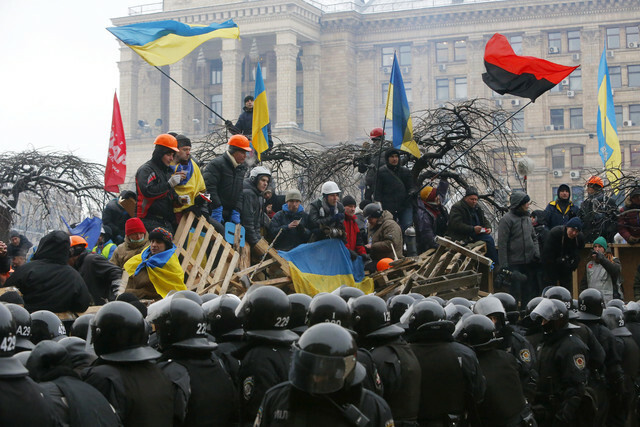 Ukrainian opposition protesters evacuated on Sunday, City Hall in Kiev, occupied in December, in response to the release of arrested protesters, AFP informs. 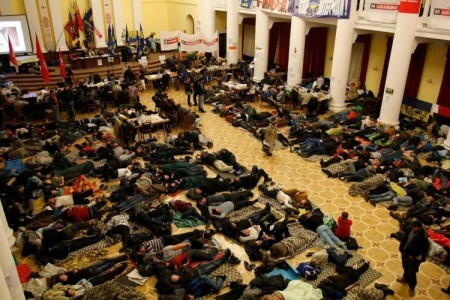 “We evacuated City Hall,” said the leader of theoccupying institution, Ruslan Andriiko. Kiev City Hall, occupied from December 1, 2013, became the “headquarters” of the movement to challenge the Viktor Yanukovych Administration, as well as Independence Square (Maidan). Evacuation of City Hall is one of the conditions for the application of the amnesty law for those 234 protesters released Friday but which remain liable to imprisonment. All the 234 demonstrators arrested during protests in Ukraine have been released, but investigations will continue, said Friday the Ukrainian General Prosecutor Viktor Pcionka. “The 234 people were arrested between December 26 and February 2. None of them is in custody”, said General Prosecutor of Ukraine. Pcionka pointed out that investigations targeting these people will be stopped only if they met the conditions stipulated by the amnesty law. “If the amnesty law will be respected, research will be abandoned within one month since February 18,” the general prosecutor added.